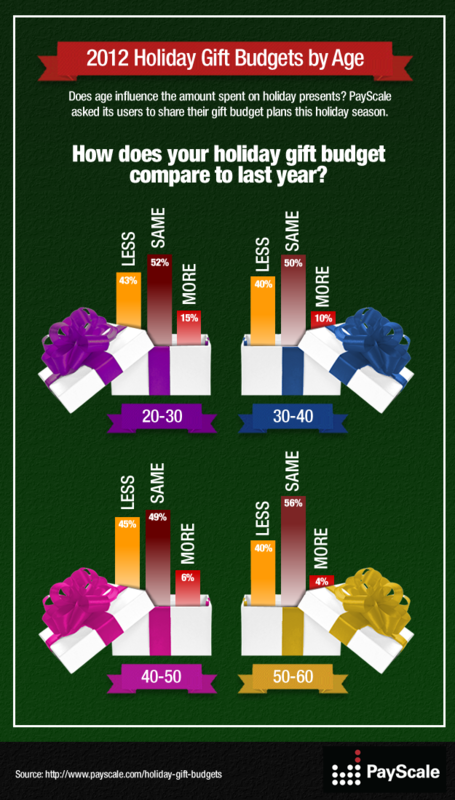 We recently asked our users how their gift spending might change this holiday season, and not surprisingly, the state of the economy seems to be having an effect on gift budgets. 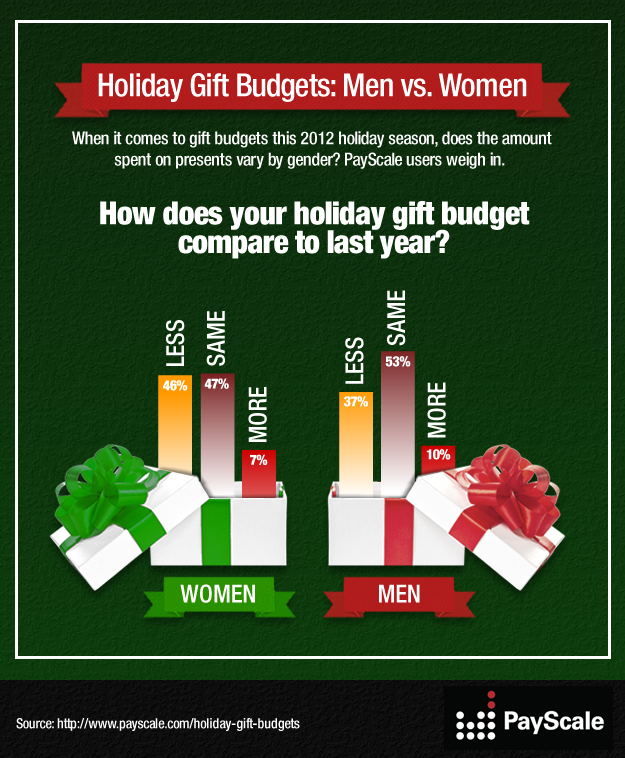 See how the answers differ by gender and age. All data are provided by online salary database PayScale.com. Those surveyed are employed and predominantly college educated. PayScale did not include users in these percentages who preferred not to answer or answered "don't know." Data is based on more than 2,000 respondents and was collected between 11/13/12 and 11/20/12.